A GRM tourist bus with plate number DWY480 fell down a cliff this Friday, April 22 in Mataas na Kahoy, Batangas province. There were 59 passengers of which 6 are dead and the rest are in critical condition according to police. The bus was reportedly traveling to Shercon Resort when it lost its brakes. The victims of the accident were teachers and students that were all from Angono, Rizal. Senior Insp. 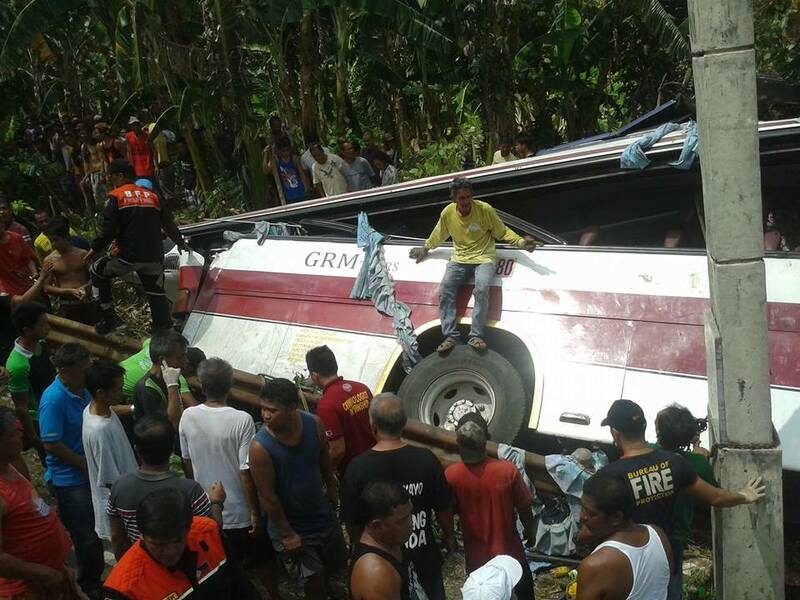 Daniel dela Cruz, Mataas na Kahoy police chief, said the bus was ferrying at least 59 people, most of them teachers of the Angono Elementary School in Angono town in Rizal, when they met the accident at 8:30 a.m.
nett date A Facebook user Rohn Tende Villasencio posted in his account what was happened on the bus after the accident. MUST WATCH: Duterte explains hearing difficulty. Davao 911 tinulungan ang mga staff ni Grace Poe.